On Wednesday 17th December, Muslim Aid paid a visit to the East London Pension Club at St James The Less Parish, Bethnal Green. The club meets every Wednesday and is open to elderly residents in the Tower Hamlets Borough. As part of Muslim Aid’s Warm Hearts Winter Campaign, 40 Keep Warm Kits (containing blankets, scarves, gloves, socks, a body thermometer and a wall thermometer) were given to members of the pension club. 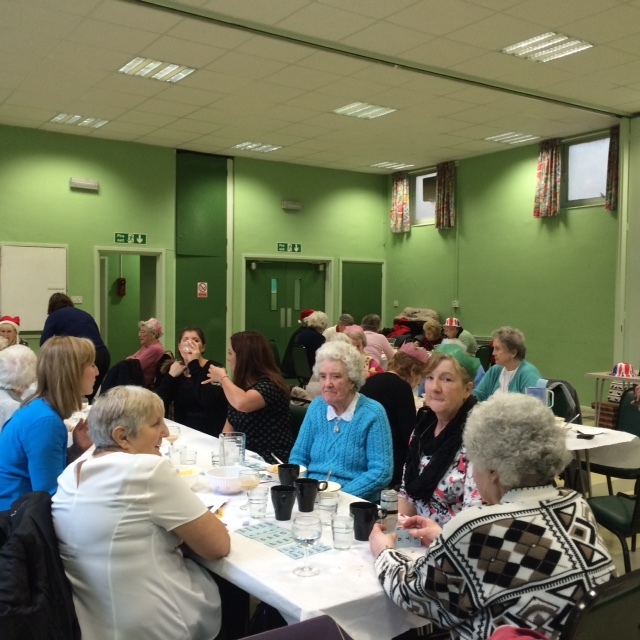 Carole Abbott, founder and leader of the club, received Muslim Aid with a warm welcome inviting the team to eat lunch and take part in the entertainment of bingo and raffles. With temperatures falling, winter can be a testing time, particularly for the elderly. Around 30,000 people in the UK die each year from the effects of the cold weather. Many of these deaths are preventable, however poverty and social isolation ensure this cycle continues. 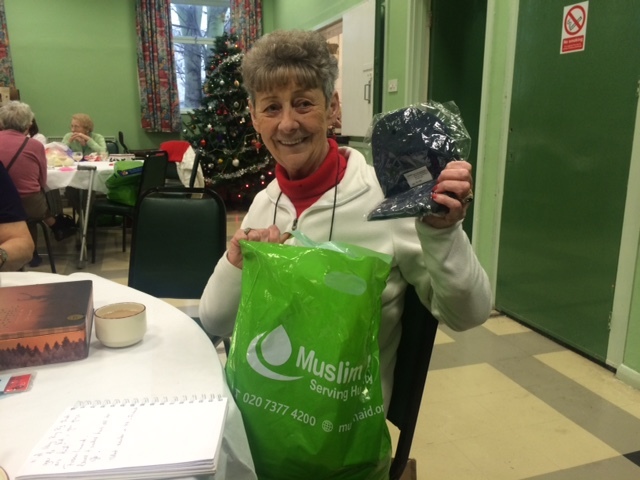 Muslim Aid have been providing elderly visitors of the club keep warm kits since 2012.